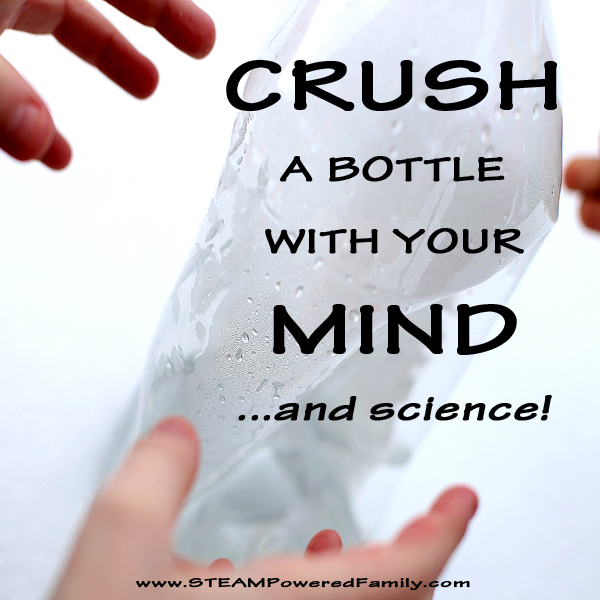 Bottle Crush – Crush a bottle with your mind… and science! My boys love a great magic trick and after watching a recent Mythbusters episode my son desperately wanted to try out a new trick. He wanted to crush a bottle with his mind… and a little science. 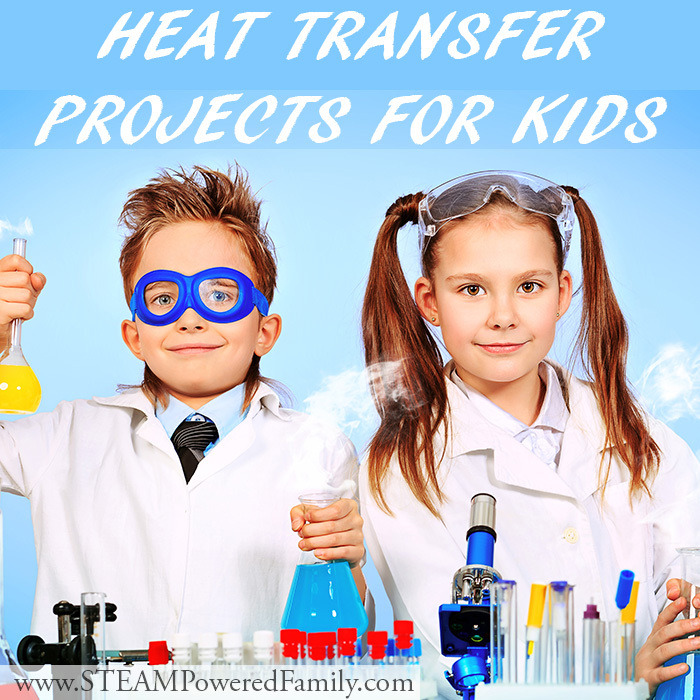 This is a fantastic winter science project exploring the principles of heat transfer. Mythbusters may no longer be in production but it still fills our days with amazing reruns and the new Mythbusters Jr. Adam and Jamie really had the greatest jobs, they did awesome science experiments every day! And while doing so, they fully embraced the adage of “go big or go home”. This makes for some fantastically explosive television. It is also a great show to inspire young budding scientists which is another reason our family loves the show. The new Jr. edition is a lot of fun as it shows kids tackling the myths! For the final season they really went crazy. In this particularly inspiring episode the idea was to see if they could crush a tanker car with negative pressure. As usual they started small scale to provide a proof of concept. In doing so they caused a metal can to collapse in on itself, and Adam being his usual goofy self pretended he was doing it with his mind. My son was smitten with the idea! He insisted we had to do the same type of experiment immediately. We watched the rest of the episode and learned about all the science, then set off to see if we could create the same crushing effect. We came up with the idea of crushing a bottle with our minds! Well, and a little science. Introducing the Bottle Crush Experiment! To do our version of this experiment we washed out an empty pop bottle. Then we carefully poured in about 1/2 a cup of boiling water. After screwing on the cap tightly we went outside. To protect little hands, I had them wear mittens, but we discovered that the top of the bottle stayed quite cool and the whole thing cooled off rapidly. Very quickly the mittens disappeared so there could be lots of finger waggling during the magic trick… I mean science experiment. 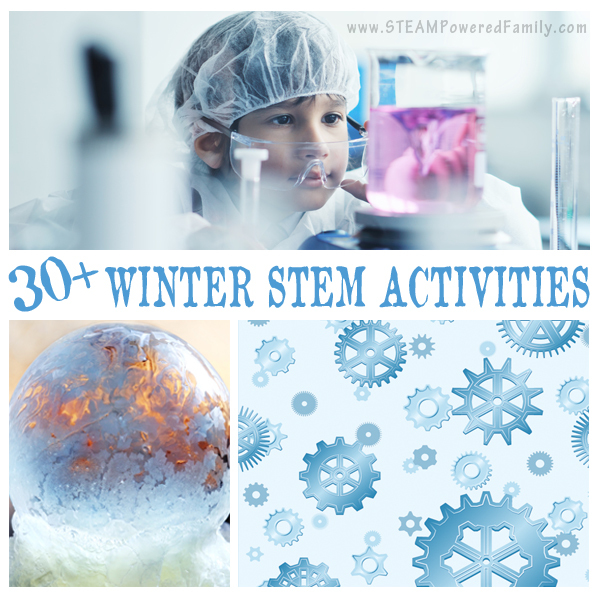 It’s winter, so it was the perfect environment for this science experiment. After setting the bottle onto our snow covered patio table, my son wowed his younger brother with his bottle crushing mind trick! It worked so well, we were all shocked. Bottle Crush was a success! In fact, my youngest son was completely awed and insisted his big brother teach him this amazing, magic mind power! After leading him on for a few minutes, as he squinted and knotted his eyebrows, desperately trying to focus his mind energy into crushing the bottle, my oldest finally taught him the real science behind the trick. Then they repeated it six times before finally getting bored. 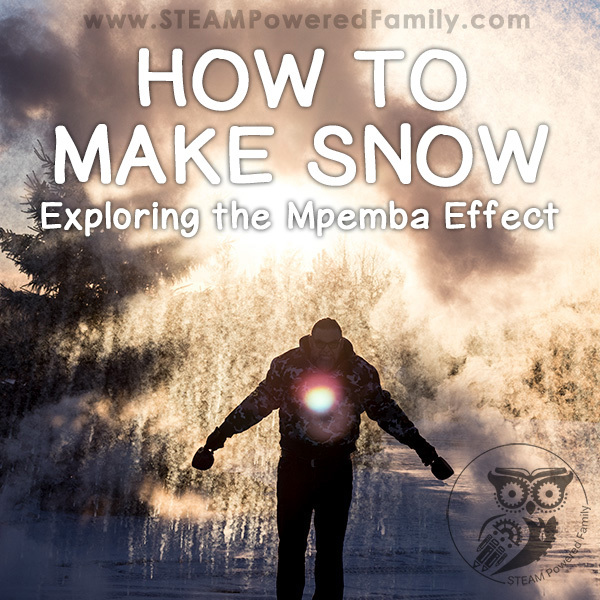 This is a great winter time experiment. The greater the temperature difference, the faster the bottle will crush in on itself. To demonstrate some of the science behind this experiment I had the boys bounce and move about, dancing and being all crazy inside of one of those play tents. I had them note how much space it took and how far apart they had to be as they kept bouncing off of each other and off the sides of the tent. This is like the steam molecules. Those steamy molecules are busy, and need lots of space. The boys also noted they could see this concept by how hard and pushed out the sides of the bottle became shortly after screwing on the cap, but before we took it outside to cool. Then I had them settle in nice and close, and compare how little space they needed. This is the same thing that happens as the water cools, the molecules settle, become less active, and take up less space. Without all that pressure caused by the steam there is a vacuum or negative pressure created. This causes the sides of the bottle to collapse in on itself. Just like on Mythbusters! Our family will definitely miss Mythbusters, but at least we have years of episodes to watch over and over again to inspire my young scientists. Thanks Mythbusters for giving us some great science, like Tanker Crush and Bottle Crush!